After our succesful exhibition of Burak Arikan’s work, Data Asymmetry, I am posting some of the interviews and material that came out of the exhibition. And then there’s the interview(s) in Furtherfield: Carleigh Morgan interviewed Burak in the part 1 of the interview about Data Asymmetry and myself in part 2 of the interview. The interview(s) address mapping as a collective experiment, networks as events, (art) methodologies of working with data and a lot of other topics related to internet culture. The Istanbul Design Biennial launches this week and we are glad to announce to be one of the invited participants. Our project with Ayhan Ayteş on the Middle-East legacy of technology and design is exhibited in the Studio X space. Besides featuring objects from this particular historical period of approximately 800-1200, the idea is to make this heritage enter into a conversation with speculative design, an alternative geopolitics of technology and imaginaries of design and media. This is executed in the form of seminar with Laura Marks and Azadeh Emadi (19th of November) and a workshop (November 20) on the design fictions and media archaeological imaginations of past futures, and imaginary realities of Middle East and technology. A lot of our thinking behind this programme has been influenced by the Variantology-project (Siegfried Zielinski et al). Below is the short text we wrote for the catalogue of the Istanbul Design Biennial. Modern European culture has positioned early mechanical clockworks as key contraptions and symbols of the machine age of industrialism, later computer culture, and of the old new media of visual technologies (microscopes, telescopes and more). European humanism prescribed a mastery over technological culture while building automata as luxury machines intended to amuse and awe. This technological culture also resulted in questions about what the human is. But answering the question are we human? necessitates the further questions of when are we human, and where are we human? When instead then? What if you start this story in an alternative fashion, in a different time and at a different place? What if you start with a speculative mind-set relating to existing but often forgotten histories of the design of the human and its doubles: technologies of automata and of the measurement of the world, alternative cosmologies in which advanced media machines are born as part of Muslim culture? An alternative modernity: Baghdad since the ninth century and the Bayt-al-Hikma (House of Wisdom) supported by caliphs and their viziers as a special place of scientific knowledge. Nowadays we would call this an interdisciplinary laboratory for science, design and technology. Translations of texts and an enthusiastic interest in mathematics, logic, medicine and other sciences mix with innovations in design. A world of musical automata that work instead of humans; design prototypes for various machines that reach a sort of apex in Al-Jazari’s celebrated Book of Knowledge of Ingenious Mechanical Devices (1206), which functions not only as a historical source on this rich culture of invention but also as a speculative design manual for an alternative technological culture. In The Difference Engine, their 1990 science fiction novel, Bruce Sterling and William Gibson pitched a similar sort of idea relating to 19th century Victorian culture as part of a steampunk imaginary: what if the modern age of computation had already started then, a hundred years earlier than thought? Rewind further back in time: What if the age of programmable machines and advanced technologies could be said to have started in the “Arab-Islamic Renaissance” of 800-1200? We could then look at early devices like astrolabes as instruments of planetary design that mediate an understanding of the positions of the sun and the stars in relation to human practices such as prayer times. Besides technologies of time and location needed for the structure of everyday religion, programmable machines functioned as prototypes for computing by way not only of Muḥammad ibn Mūsā al-Khwārizmī’s “algorithm” but also the The Banū Mūsā brothers’ programmable musical machine. Such examples beg us to alter our historical focus to a different age and a different region. Automata mirror and deflect, distort and circulate as machines of imaginary and real extensions of the supposedly human. They also question how human practices can be automated in the uncanny lives of technological artefacts. Automata are machines that situate questions of the human and its others as part of a deep-time media archaeology of robots and automata, and alternative geographies of design culture. Ask what the human is, and you also implicitly ask: what is not human, what is just about human, and what is barely human. Marks, Laura, Enfoldment and Infinity. 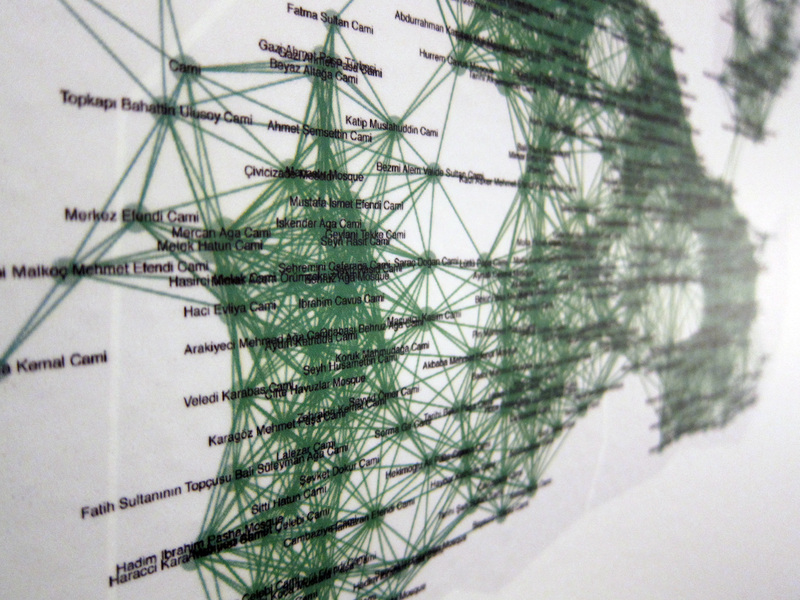 An Islamic Genealogy of New Media Art (Cambridge, MA: The MIT Press, 2010). Nadarajan, Gunalan “Islamic Automation: A Reading of Al-Jazari’s The Book of Knowledge of Ingenious Mechanical Devices (1206) “ in MediaArtHistories, ed. Oliver Grau (Cambridge, MA: The MIT Press, 2007), 163–78. Zielinski, Siegfried and Peter Weibel (eds. ), Allah’s Automata. Artifacts of the Arab-Islamic Renaissance (800-1200). (Berlin: Hatje Cantz, 2015). Water Serving Automaton,The Book of Knowledge of Ingenious Devices (1206) (Topkapi Sarayi Libray, Ahmet III, Ms. 3472).